The Factories, Research and Design Establishments of the Soviet Defence Industry: a Guide has been through many revisions since the original version of January 1999. This page gives bibliographical details of versions prior to the current one, together with access to the prefaces of each version, and the version 1 dataset as originally published. he Factories, Research and Design Establishments of the Soviet Defence Industry: a Guide, ver. 19. By Keith Dexter and Ivan Rodionov. University of Warwick, Department of Economics. The Factories, Research and Design Establishments of the Soviet Defence Industry: a Guide, ver. 18. By Keith Dexter and Ivan Rodionov. University of Warwick, Department of Economics. The Factories, Research and Design Establishments of the Soviet Defence Industry: a Guide, ver. 17. By Keith Dexter and Ivan Rodionov. University of Warwick, Department of Economics. The Factories, Research and Design Establishments of the Soviet Defence Industry: a Guide, ver. 16. By Keith Dexter and Ivan Rodionov. University of Warwick, Department of Economics. The Factories, Research and Design Establishments of the Soviet Defence Industry: a Guide, ver. 15. By Keith Dexter and Ivan Rodionov. University of Warwick, Department of Economics. The Factories, Research and Design Establishments of the Soviet Defence Industry: a Guide, ver. 14. By Keith Dexter and Ivan Rodionov. University of Warwick, Department of Economics. The Factories, Research and Design Establishments of the Soviet Defence Industry: a Guide, ver. 13. By Keith Dexter and Ivan Rodionov. University of Warwick, Department of Economics. The Factories, Research and Design Establishments of the Soviet Defence Industry: a Guide, ver. 12. By Keith Dexter and Ivan Rodionov. University of Warwick, Department of Economics. The Factories, Research and Design Establishments of the Soviet Defence Industry: a Guide, ver. 11. By Keith Dexter and Ivan Rodionov. University of Warwick, Department of Economics. The Factories, Research and Design Establishments of the Soviet Defence Industry: a Guide, ver. 10. By Keith Dexter and Ivan Rodionov. University of Warwick, Department of Economics. The Factories, Research and Design Establishments of the Soviet Defence Industry: a Guide, ver. 9. By Keith Dexter and Ivan Rodionov. University of Warwick, Department of Economics. The Factories, Research and Design Establishments of the Soviet Defence Industry: a Guide, ver. 8. By Keith Dexter and Ivan Rodionov. University of Warwick, Department of Economics. The Factories, Research and Design Establishments of the Soviet Defence Industry: a Guide, ver. 7. By Keith Dexter and Ivan Rodionov. University of Warwick, Department of Economics. 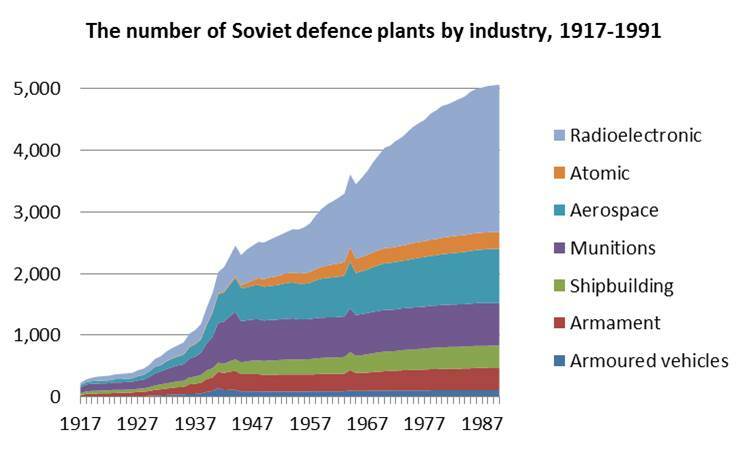 The Numbered Factories and Other Establishments of the Soviet Defence Industry: a Guide, ver. 6. By Keith Dexter and Ivan Rodionov. University of Warwick, Department of Economics. Part I. Factories & Shipyards. Part II. Research & Design Establishments. Ver. 5. By Keith Dexter and Ivan Rodionov. University of Warwick, Department of Economics. Part I. Factories & Shipyards. Part II. Research & Design Establishments. Ver. 4. By Keith Dexter and Ivan Rodionov. University of Warwick, Department of Economics. Part I. Factories & Shipyards. Part II. Research & Design Establishments. Ver. 3. By Keith Dexter and Ivan Rodionov. University of Warwick, Department of Economics. Part I. Factories & Shipyards, by Julian Cooper, Keith Dexter, Mark Harrison, and Ivan Rodionov. Part II. Research & Design Establishments, by Keith Dexter and Ivan Rodionov. Ver. 2. University of Warwick, Department of Economics. Part I. Factories & Shipyards, by Julian Cooper, Keith Dexter, and Mark Harrison. University of Birmingham, Centre for Russian and East European Studies, Soviet Industrialisation Project Series. Occasional Paper no. 2. ISBN 0704485206. Part II. Research & Design Establishments, by Keith Dexter. University of Warwick, Department of Economics. Curious? Click on the image to enlarge it. For the underlying data, go to the current dataset. Version 19 has been geocoded by Veli-Pekka Kivimäki.